"Do something, do something to that, and then do something to that." 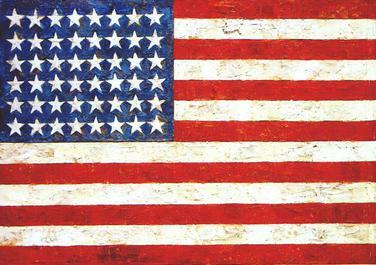 ~ Jasper Johns, American contemporary artist, born May 15, 1930. 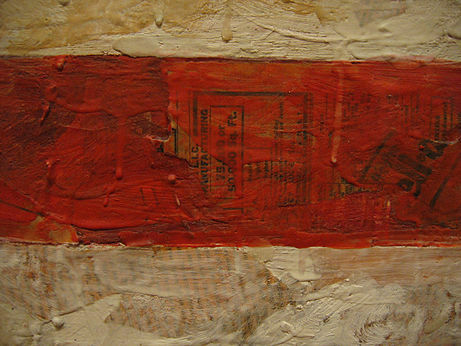 Flag, encaustic over a collage, 1954-55. "In the place where I was a child, there were no artists and there was no art, so I really didn't know what that meant. I think I thought it meant that I would be in a situation different than the one that I was in." Detail of Flag (1954-55). This image illustrates Johns' early technique of painting with thick, dripping encaustic over a collage made from found materials such as newspaper.